Juggling family activities, schedules, and various appointments isn't easy these days, but Dr. Alan DeAngelo and his Homer Glen team offer families a convenient, time saving dental solution: bring the whole family to see Dr. DeAngelo. 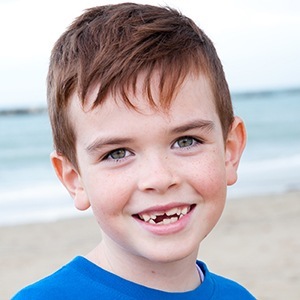 Our practice offers high-quality oral health care for patients at every age and stage of life. 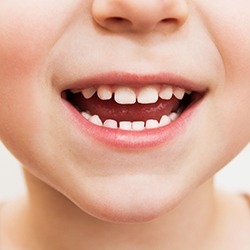 A thin layer of protective plastic that repels dental decay-causing plaque and bacteria. Sealants are easy to apply and can be placed during a six-month checkup and teeth cleaning appointment. 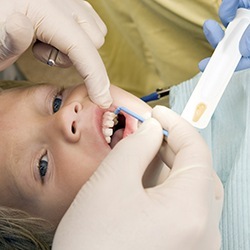 These quick fluoride applications take less than ten minutes and can be easily completed as part of a routine dental checkup. Dr. DeAngelo or a hygienist can paint a fluoride gel onto teeth to strengthen dental enamel and protect it from decay and cavities. 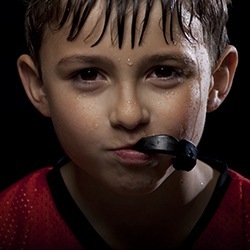 For young athletes, protective equipment for the teeth is essential, but too often, parents see kids with mouthguards hanging from helmets or left in locker rooms. Store bought, one-size-fits-all sportsguards tend to be uncomfortable, which leads to noncompliance, but a customized sportsguard is a more comfortable alternative that children are more likely to wear as directed.